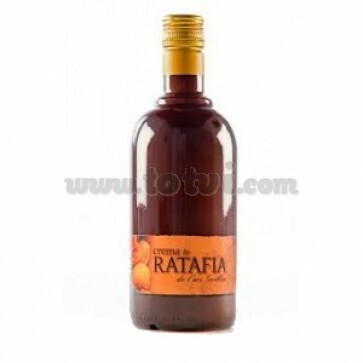 Ratafia Cream de l'Avi Guillem is a cream that is made by adding milk and sugar to the Ratafia, giving it a unique texture and flavor. Milk cream with characteristic roasted color. Nuts and cocoa protagonists although the shades of cinnamon, clove and nutmeg appear with great force. Sweet entry. Very round and without strings. Take it alone or with ice, never mixed with sour drinks. It works very well with coffee.